Suited for learning at home, in class or on the go, our educational Apps serve as great learning and revision tools. This range of educational Apps make learning fun and motivational, with highly innovative activities. The amazing new way to learn mathematics! Within these apps, students can access a huge range of activities that make learning maths skills fun, motivating and full of rewards. 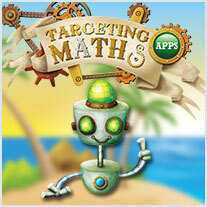 With content linked to Australian Curriculum outcomes, these Targeting Maths Apps contain the perfect learning tools for students undertaking Mathematics in Years K/Prep - 6. Through interactive activities, students build their skills in areas such as number, addition, fractions, measurement and shapes. 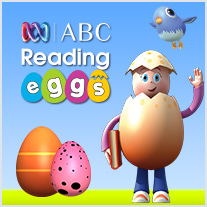 Learn on the go with our range of ABC Reading Eggs apps for iPad, iPhone and Android devices! These educational apps make learning reading skills fun and motivational, with highly interactive touch activities that are ideal for early learners. Through fun and vibrant animations, the ABC Reading Eggs range of Apps assist children aged 3-12 with their learning in key areas such as the alphabet, vocabulary, comprehension, numbers to 100, counting skills, and addition. Please note, we are currently updating our ABC Reading Eggs Apps for the new IOS11. If you have yet to update to IOS11, the apps will still work on your selected device. Thank you for your patience!